We are committed to providing high quality repairs for your Saab with the outstanding personal service that you can only receive at a local, family run business. Bring your Saab to Certified Automotive Solutions for aftermarket services and get the same quality maintenance, same quality parts, and a 2-year, 24,000 mile warranty on all parts and labor - for much less than what you'll pay to a dealership. 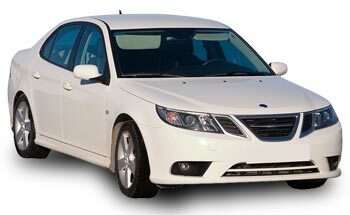 To arrange service for your Saab just give us a call at 603-880-8898. All of our technicians are ASE certified and we have an ASE master technician on staff. We specialize in Saab engine diagnostics and Saab electrical diagnosis, drivability problems, fuel injection service, and computerized engine controls. We also perform all regular maintenance and auto repairs, tune ups, batteries, transmission and transaxle service, ABS brake service, mufflers, brakes, shock absorbers, timing belt replacement and more on your Audi. All work comes with a 2-year, 24,000-mile warranty to ensure your satisfaction. We are a New Hampshire state inspection center and also perform tire balancing and rotating, battery repair and replacement, and AC recharges. The shop is located at the corner of Main St. and East Hollis St. in Nashua, New Hampshire, and we have been in successful operation since 2004. Our customers enjoy our convenient waiting facility and our senior citizen 10% discounts. Got Saab repair problems? Call us, we will help! Contact us or visit our auto service center with your Saab today! Great job as always!! I am continuously impressed by the organization, timeliness, honesty and professionalism Jamie and his team provide. I get great work for a reasonable price. Certified staff always go out of there way to treat me and my automobile with respect. I always get the best service from Certified Automotive Solutions! They are open and honest about the repairs needed. They will not give you a repair without letting you know, and they will be informative about fixes you may need in the future. I've been going here for years, I wouldn't go anywhere else. As always Jamie and his Team did an exceptional job. This is the reason that keeps me going back. They also provide excellent customer service and I would recommend them without reservation. I love these guys. They listen to my concerns and take them seriously. They explain what is wrong in laymans's terms and fix the problem. They have worked with me with my budget. I can't say enough good things about them. I have always received excellent service and competitive pricing when doing business with Certified Automotive Solutions. My most recent appointment was time sensitive for me. My vehicle was taken promptly when I arrived and the work was completed within the time I had requested in order to make an appointment on time. The staff is friendly and competent. Why would anyone go elsewhere for great service and pricing? Great service! They had my car in and out in just a few hours and it's running great. As always, thank you for your fast and efficient service. It makes is a lot easier when you can involve the customer in the care of their car and keep them informed about the repairs as they happen. I look forward to doing future business with your company and I will continue to recommend your garage to my friends! I was very pleased with the level of service and professionalism from you and your team at Certified Auto. The car swap and car loaner aspect of business came in very handy especially since it was the day before Christmas Eve when I was able to commit to the exchange. Within a few hours I received a phone call stating the problem with the brakes as well as other recommended services that were necessary as well. Needless to say, I was surprised and pleased to know that the services could be completed BEFORE I left to New Jersey for the holidays. I am writing to say that in all my years of dealing with auto repair services involving a multitude of service stations, I have never come across such dedication to the work being performed and extraordinary service to met customer needs. I have had the privilege of dealing with Jaime (and team) on a number of occasions and have continued to be amazed at how I am treated. The lengths these people go to to ensure that any impact in terms of cost and/or time is minimized is, in my experience, unequaled in this business. CAS has fixed many things on my Caravan since my first visit in 2007; broken drivers door hinge, bad manifold gaskets, ball joints and tie rod ends, radiator and cooling fan. They have also done the regular service items such as brakes, oil changes and tune-ups. With their help, and another 23,000 miles, I'll reach my goal to get 250,000 miles out of the van!